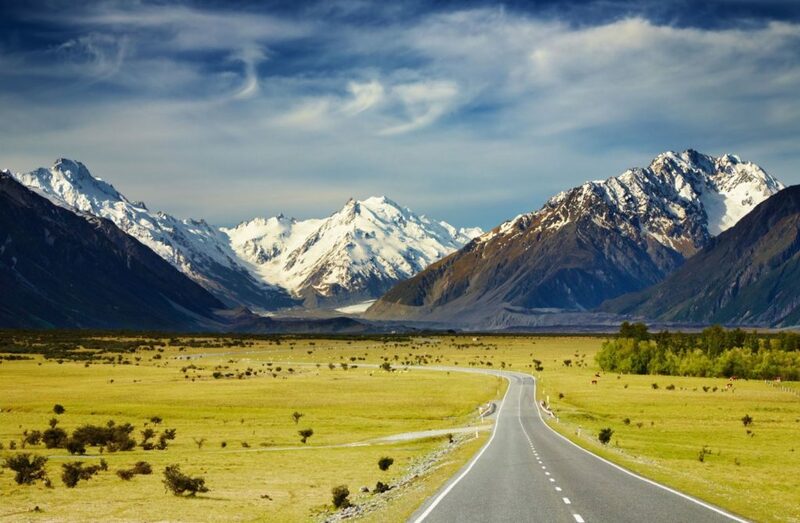 New Zealand is a one-stop-shop for all your travel desires, whether its sightseeing, adrenaline seeking or beach-going. No matter what your style, a great way of experiencing the country’s best bits is by road trippin’ it! Here are some awesome road trip itineraries to satisfy your taste of adventure. New Zealand’s best deserved draw card is without a doubt its breathtaking scenery. If you want to focus your trip on the lands immense and diverse landscape, well, head in any direction and you won’t be disappointed! 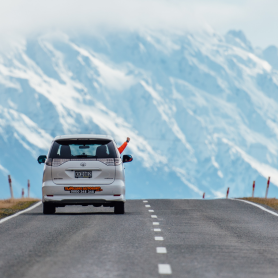 But if you like a little more structure, start your road trip from Christchurch and take a scenic road trip around the South Island, where every leg of the journey will make you gasp in awe. Head to Mount Cook to see the icy blue Lake Pukaki with snowy mountain backdrops. Make sure you bring your camera because it’s a picture-perfect postcard location that you will want to snap from every angle. 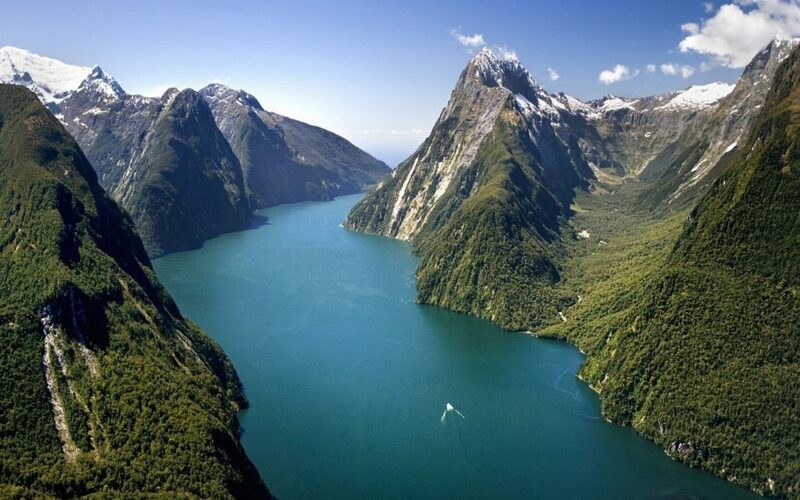 After that, get right into the wild as you make your way to Milford Sound. You’ll feel like you’re in another world surrounded by mountains, rivers, rain forests, and valleys. 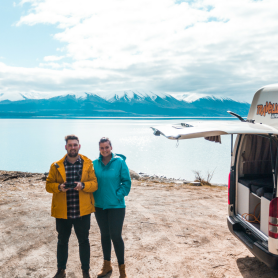 Next, take a mesmerising four hour journey to Glenorchy, a town near Queenstown set against a background of native forests and towering mountain ranges. 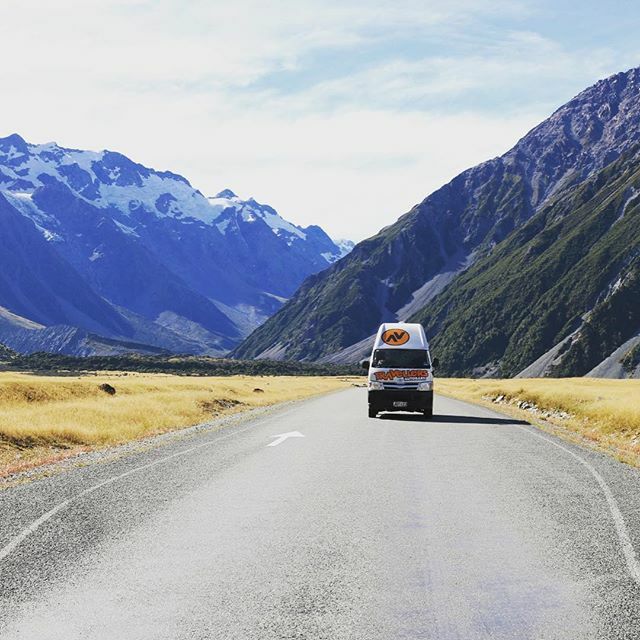 No matter what path you take in the South Island, you will constantly be pinching yourself to make sure it isn’t a dream! Calling all adrenaline junkies – this road trip has your name on it. New Zealand is the land of adventure, and there’s certainly no shortage of ways to get your heart racing. From Christchurch, take the route south to Tui Canyon where you can jump and abseil down fast flowing mountain streams with a canyoning adventure. Next, drive to Franz Josef Glacier and undertake the ultimate valley hike or ice walking tour in a beautiful World Heritage location. 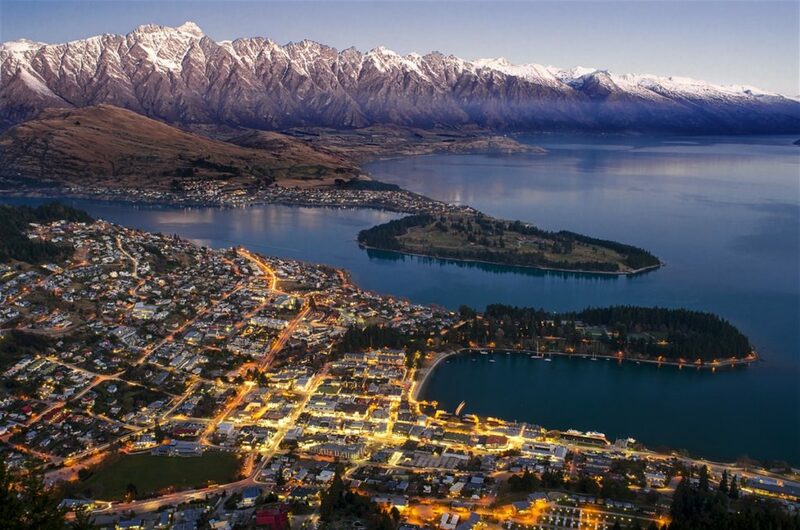 After you’re all walked out, take the scenic five hour drive further down south, heading to Queenstown. If you’re driving in the winter season, just make sure you have proper snow chains on your vehicle, because the roads in this area can get pretty icey! No matter how much of a dare devil you are, no one likes to risk their safety on the road. Saving the best to last, the adrenaline capital Queenstown should be on every thrill seekers bucket-list. Here, you’ll find extreme activities such as jet-boating, bungee jumping, skydiving, skiing, white water rafting, you name it, Queenstown has it! If you’re a lover of a thriving big city, New Zealand has that in the bag too. 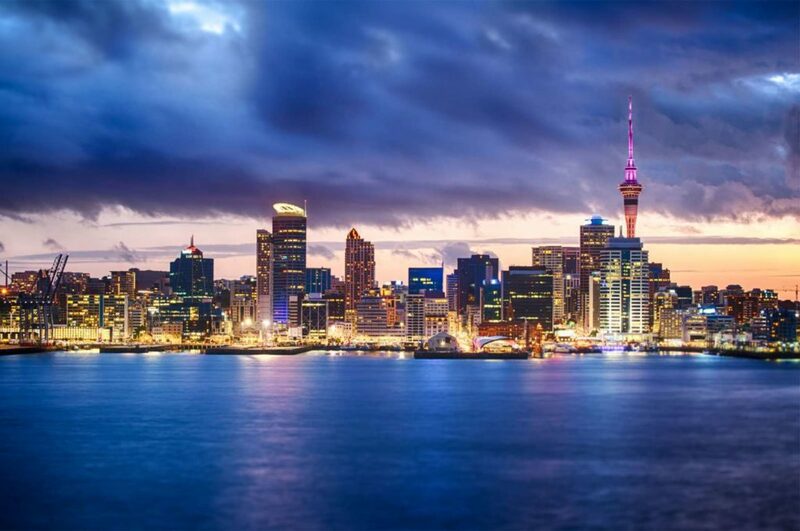 Start your journey in the North Island at Auckland, New Zealand’s largest city. A varied scenic landscape and a huge range of activities, attractions and experiences will make for an awesome stay whether it’s for a night or a week! 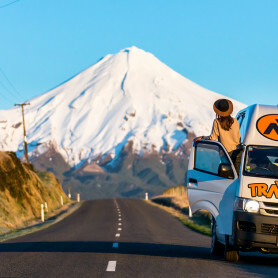 Next, head onward with your journey further south to Hamilton, the fourth largest city in New Zealand and home to some pretty great nightlife. It’s also a convenient city to base yourself at for a visit to Hobbiton Movie Set – for the lovers of Lord of the Rings out there. The final North Island city not to be missed is Wellington, New Zealand’s capital city. Wellington is dubbed one of the worlds coolest little capital cities, and is popular with backpackers for its happening vibes and culture. As well as having some of the most beautiful and varied landscape you will ever lay your eyes on, New Zealand has some awesome beaches too. With over 15,000 kilometres of coastline, there’s a heck of a lot of beach road tripping to be done! Some of the best beaches in New Zealand are at the far north of the country, in the surrounding areas of Auckland. Start at Hot Water Beach on the east coast of the Coromandel Peninsula, a natural spectacular that features hot bubbling water through the golden sands. During low tide, you can witness the arising through the sad and take a dip in the relaxing natural springs. 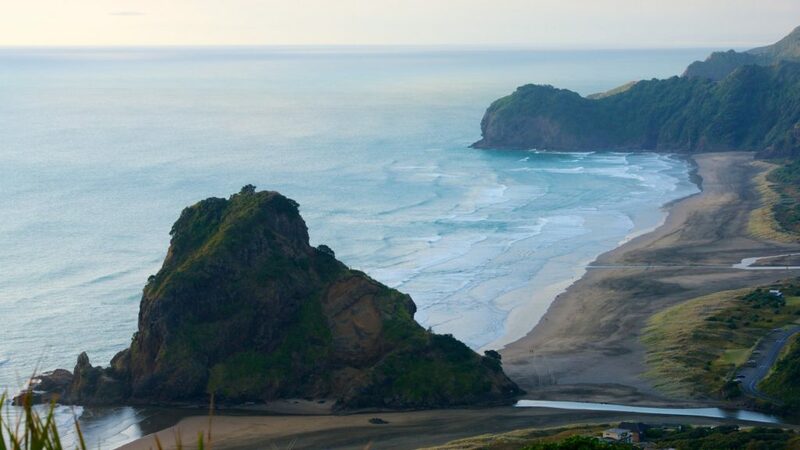 Then make your way west of Auckland to Piha Beach, New Zealand’s most famous surf beach. This black sand beach is rolls over the Tasman Sea and features a rugged coast line with dramatic views. In summer it is regularly patrolled by life-guards, but this one is mainly for lovers of the swell. Next, head onward to the northern most point of New Zealand, and visit Ninety Mile beach, renowned for its never ending sands and great surf. Grab a bite to eat as you watch the spectacular sunset, and then carry on your journey to discover the rest of the hidden beaches in North Island, New Zealand. 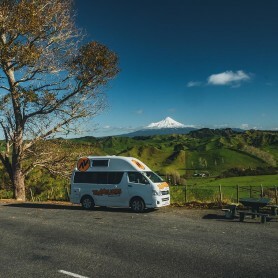 Check out Travellers Autobarn for some great deals on campervans and station wagons – your best method of road tripping in New Zealand!